From my perspective, as a husband and a new father, I felt we needed a doula to be safe, trustworthy, caring, and knowledgeable above all else. After all, I would be leaving my newborn child, and recovering wife alone, in my house with a stranger. This is the attitude I had during the several doula interviews I held leading up to the birth of our first child. There were a few other finalists, but Ofelia possessed a quality that put her ahead of the rest in my mind. For me, it was her unhesitant, and enthusiastic response to working with the father, not just the mother during her work with new parents. Others I asked did not feel the father needed support at all. Ofelia guided me through training in diapering, bathing, and caring for my new son, as well as ideas to help my wife recover. She not only provided me with the recipes she used to create the most joyful, nourishing foods, but she taught me how she made them. We still make them these days. Ofelia truly cares for the entire family unit, not just the newborn, and not just the mother. She has a great depth of experience and knowledge about babies, new mothers, and new fathers. She is completely humble, trustworthy, and I have had now worries when she cares for my child, ever. And I gladly tell anyone who asks me for a doula to call Ofelia first. If you have any particular questions, feel free to contact me via email at the following address: adfeinglass@earthlink.net. David and I want to thank you so very much for making our 8th anniversary so very special! We had a wonderful evening together - it was all to you that we were able to relax and enjoy while you cared for our Gabriel and Blossom. I also greatly appreciate your loving kindness from the first time we met to date. Your encouragement and support with breastfeeding has meant the world to me (and Blossom). Thanks for sending Celia our way - she fits well with us. We are so glad to have her with us. Please let your husband and sons know that your presence in our life is invaluable and we realize it is a big sacrifice not to have you home at night with them. They are blessed to have you as wife and mother. You are truly the best of the best! This letter is to express my gratitude for Ofelia's help during our most important time- the birth of our daughter. 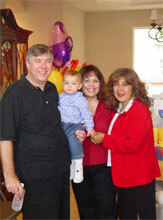 With the assistance of Ofelia we had a very empowering and fulfilling birth experience. Although I had planned to have an epidural between 5-7 cm, I was actually 9.5 cm by the time I arrived at the hospital. This could only have been done with Ofelia's assistance. Her years of experience gave me a great comfort and allowed me to trust in the process and embrace labor, not fight the sensations. She kept me busy, comfortable, and confident. While at the same time making space for my husband and I to feel bonded and private. She was supportive in the delivery room, quietly working within the group of doctors and nurses to make sure my needs were met. Her pre-visits and follow up visits with us were very much appreciated and added to our confidence. We highly recommend Ofelia for anyone and would plan to use her for our next birth. Feel free to contact me if I can share any more information regarding Ofelia. As I was putting my perfect son to bed tonight, I was thinking about what and how to write about Ofelia. I realized that i needed to first tell you a little about myself. I waited, not intentionally, until I was 40 to have a child. I had worked in the corporate world, taught grammar school, gotten a graduate degree, always feeling competent and able, especially if I could read enough, or learn enough before I undertook a job. I though I could do this when I became a parent. I read all the books and felt prepared to undertake this job as well. Then came the reality of the nurse handing me my crying infant in the middle of the night and saying "call me when you're through." Through with what? I thought. He clearly needed feeding, caring for, and suddenly all the books I had read flew out of my head. How do I do this? How do I know what he needs and what he is telling me? There are no books to translate "Baby." She seems to know what my son needs and can show me his cues. She can't magically make all of the challenges of parenting disappear, but somehow, she makes them not quite so overwhelming. Yes, some of all of the parenting stuff comes naturally, but bathing your baby for the first time, or wondering if he is eating enough, or how to swaddle him, these things, while exhilarating, can be scary too. I remember all of my friends with babies would say, "I promise, it gets easier." Ofelia does not tell you it will get easier, she makes it easy; she shows you and allows you to revel in the moment, in the calm joy that she surrounds your family in. Ofelia is one of the kindest women I have ever met. She loves what she does and only wants new families to feel safe and comfortable. She is available to explain and teach but she never forces her ideas or opinions. Ofelia always says, "you are the mother." She is there to support you getting to now your new family member. She included my husband in everything, he gave Weston his first bath under her care. She is motherly in the way that we all wish our mothers were. She is funny, warm and open and most of all, she loves my son seemingly as much as we do. She has allowed and helped us to feel the joy and bliss of the first few months, and my family and I are indebted to her forever. Her goal as a post partum doula is to leave. I know this is the case and I feel nothing but ready to take care of my son, but seeing her leave is like losing a part of the family. She is Mary Poppins with a Spanish accent. Clearly I cannot speak more highly of Ofelia. If you are lucky enough to have her enter your and your child's life, you cannot have a more wonderful start to the most wonderful time in life. Thank you for everything you have done for us and baby William. We never would have made it this far without you. 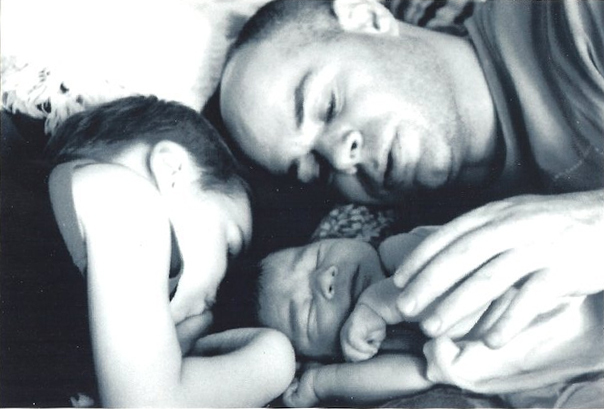 Your commitment, kindness and experience helped us through a very challenging labor, and birth. Your postpartum doula care has been exceptional - from delicious cooking, to cleaning, to helping us care for baby Will. We will all miss you - including Chance. Thank you so much for your voicemail! We hope that you are doing well and your studies to become a midwife (are you still pursuing?) are good too! Yild and I think of you often and we are looking forward to more children, especially because our first birthing experience with you was such a beautiful one! Here are some photos of our sweet little boy Ryan Vincent Guven. We hope to give him a little brother or sister soon! Giving birth to, and raising our daughter, Rebecca, has been the happiest experience of my life. However, I cannot imagine going through this with the confidence and joy that I had, without the decisive, guiding presence of Ofelia Aragon. She supported me completely leading up to and throughout the birth. She told me what to buy (all those decisions! ), how to set up the nursery, and what I could put in a birth plan. She held my hand during those anxious days when our daughter refused to come out “on time.” She was a solid, soothing anchor and advocate during the long hours of labor and always encouraged me to “do it my way.” In those first, scary weeks after the birth, when everything was so new, she taught us all that we needed to know. We called her the “baby whisperer”. She had a way of calming Rivkie – and us – like no one else could. She was always 10 steps ahead – doing laundry, straightening, shopping, cooking her legendary chicken soup and artfully tending to our baby. She got me through the panic of engorgement and the ups and downs of breastfeeding and gave me rest and TLC when I needed it the most. Ofelia has so much experience, knowledge, spirit and love… and a work ethic that is unrivalled. I am so grateful to her – and to my husband for giving me the gift of time with this doula among doulas.